On May 9, 2018, Russia, as well as many other countries, hold celebrations to honor the 73nd anniversary of the victory over Nazi Germany in the Great Patriotic War of 1941-1945. The celebrations in Russia traditionally start with military parades across the country, with Moscow's Red Square hosting the Victory Day parade at 07:00 GMT. In addition to this, a march dubbed the "Immortal Regiment" - a patriotic initiative where people march with photos of their family members who fought in World War II - will be held in Russia and beyond. 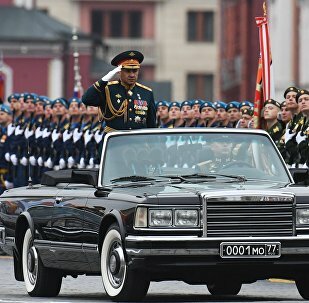 WASHINGTON (Sputnik) - Russia will do everything possible to pass truthful memories of World War II to the next generations despite attempts to twist history, Russian Ambassador to the United States Anatoly Antonov said during the celebratory event on the occasion of the Victory Day. As a security officer apparently tried to push away an honored Victory Parade guest who descended to the Russian president from the stands, Vladimir Putin had to interfere. 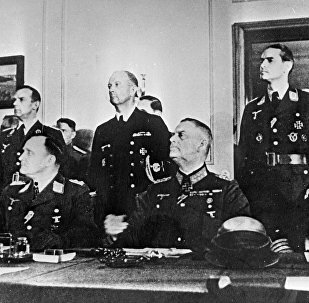 MOSCOW (Sputnik) - On Wednesday, May 9, Russia is marking the 73rd anniversary of the victory over Nazi Germany in the Great Patriotic War of 1941-1945. Residents and guests of the Russian capital are preparing to celebrate the Soviet and Allied victory over Nazi Germany and its allies in the Second World War. Victory Day is one of the most important holidays in Russia and many other post-Soviet states. Moscow is gearing up to hold a massive parade dedicated to the anniversary of the Allies' victory against the Nazis in the European theater of World War II. 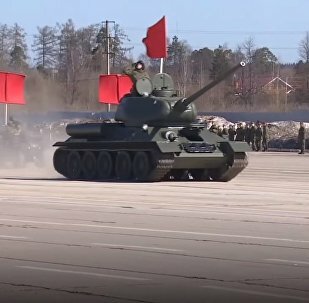 As tradition dictates, the Russian military will show off some of its latest and greatest hardware. Sputnik rounds up the top six pieces of military equipment to keep an eye on. 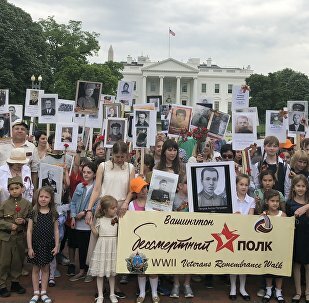 WASHINGTON (Sputnik) - The cooperation between Russia and the Unites States during the World War II should never be forgotten and the alliance of the two countries should be preserved, the participants of the Immortal Regiment commemorative march in Washington, DC told Sputnik. 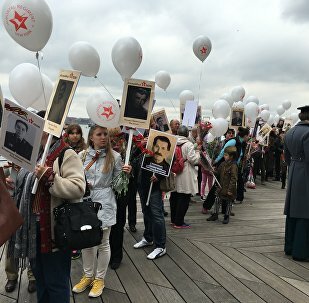 NEW YORK (Sputnik) - The Immortal Regiment Commemorative marches, marking the 73th anniversary of the end of the World War II, began in the United States.